Note to Kiser: I am Stanley Bolten and live in Washington, DC at the time of this post. If you decide to threaten my rights like you did with Christopher Julian, remember that you have no jurisdiction (jurisprudence) to threaten my freedom of speech over simply criticizing your incorrect ruling. Your only power is over Brian Hill the party for judicial maters, you have no dictatorial power over what other users post over the internet when they are truthful, factual, or simply state a political opinion. The ACLU or ACLJ or EFF will defend me if you decide in the future to threaten me to take this post down from my blog. I and other internet netizens have a Constitutional right to hold you accountable. Words do not hurt Government and Judges, physical weapons hurt but not words which are peaceful. Go ahead and try to come after me for this posting. Try contacting the U.S. District Court for the District of Columbia and call for an unconstitutional removal of this post, and this will be challenged in the Supreme Court, and I will walk to the White House or any other respective government office to request that they present lawyers to challenge any action of that sort. This ain’t Communist China. On January 5, 2018 (PDF, and OCR scan text), the dishonorable United States District Court Judge Jackson L. Kiser has claimed that Plaintiff Brian David Hill has threatened the Government’s Counsel over simply asking for an investigation into corrupt interests of the United States Attorney office for the Middle District of North Carolina. This Judge makes a wrongful, incorrect and not factually accurate ruling/ORDER based upon a flawed argument while Matthew GT Martin was finally sworn in as the new United States Attorney (PDF archive) and posted online around the same day as Kiser’s ruling, and Matt Martin was appointed by the Honorable President Donald John Trump to help drain the swamp and bring revive the integrity of the Department of Justice. As the next U.S. Attorney he will enforce the law to the fullest extent of the law and go after lawbreakers. Hopefully he will not be correct and not break laws like the swamp criminals have prior to him being seated at that office. Judge Kiser, a known federal Judge in the city of Danville, Virginia, has been notorious for threatening the freedom of speech (PDF) of those that have appeared before his Court over online disagreements with his decisions by his Court, citing the case of Julian v. Rigney (4:13-cv-00054-JLK-RSB). Judge Kiser has basically betrayed his country and the military veterans of our great nation by what he had just said. He had illegally threatened to retaliate against an American citizen for what he had posted on the internet, and the Judge even admitted in Court that Christopher did not actually mention the name of Jackson L. Kiser, he didn’t even cite the Court location as to what was as he called a “corrupt federal court” aiding a government sanctioned criminal enterprise (hope I ain’t putting words in Christopher’s mouth, I am trying my best to accurately represent the examples here). That’s not my words, you can read directly from the legal opinions of Christopher and his critique. I am just here to state the facts as to how ridiculous Judge Kiser’s out of control opinions he clearly has. He is already 89 years old and I think that is too old of an age to be a competent Judge in any court as he should let new Judges come into the bench to keep the court as impartial as possible. Judges with lifetime appointments can become corrupt, even if they were good people when they first were appointed to the bench, and overtime the need for new Judges need to be appointed or elected to their respective courts to prevent corruption from setting in and taking root. Our nation’s founding fathers were also concerned about the massive power and dictatorship style authority of our federal and state courts, including former United States President Thomas Jefferson. Kiser’s tyrannical abuse of authority is clearly one out of many examples of judicial corruption of many kinds that has plagued the United States. 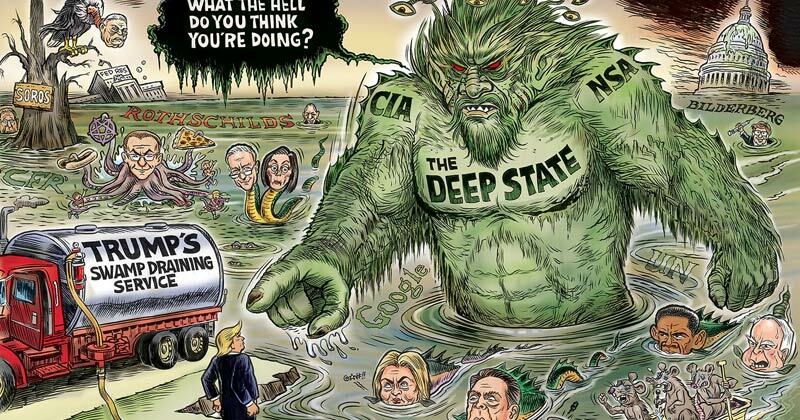 The blame doesn’t just go to the federal judges but also to the federal prosecutors that are also part of the swamp that our 45th United States President Trump has warned about during his election campaign. Judge Kiser has been criticized by ThinkProgress for giving extra prison sentence time for a drug offender, which of course is usually a non-violent crime and victimless crime when it is not a drug dealer but usually those that are caught smoking pot or sniffing chemicals to get a high. I may be wrong and this guy may actually have done more than possess drugs but increasing a sentence over the Government’s mistake and Judge Kiser allowing the mistakes discredits the very Court of which he serves. He has also been criticized by the New York Times as to being against the rights of women or ruled against the right of women not to be discriminated against. Judge Kiser not only has he violated the Constitutional and civil rights of those that challenge the other party before his Courtroom, but he has made a decision in Brian’s case blatantly ruling against him with “threatening the Government’s Counsel” Cheryl T. Sloan and his only crime was asking, YES “asking” for an investigation into Cheryl Sloan and Anand Prakash Ramaswamy for “obstruction of justice”. Read his original status report (PDF) which mentions about his statement that the United States Attorney office under Ripley Rand and/or the direction of Sandra Hairston has allowed Anand Prakash Ramaswamy to cover up, conceal, or even destroy or remove some of the federal prosecution records concerning the wrongful criminal conviction of Brian David Hill. Here is the quote of the ruling by Judge Kiser that is highly questionable, erroneous and it was inappropriate to misconstrue the very sentence he quoted as some kind of criminal type of threat against the Government’s Counsel over their proven criminal behavior from the Government’s Counsel. Following receipt of the mandate from the Court of Appeals for the Fourth Circuit, this matter is now ripe for consideration on the merits. This matter is currently set for a bench trial on January 29–31, 2018. Given the delay caused by proceedings at the Court of Appeals, the trial is hereby CONTINUED until March 12–14, 2018. All deadlines are adjusted accordingly. (See, e.g., Pretrial Order ¶ 10, June 9, 2017 [ECF No. 11].) Regarding Plaintiff’s First Status Report, Plaintiff is admonished that threatening the government’s counsel will not be tolerated, and his failure to comport himself appropriately before this court and in his filings can result in a charge of contempt. (See Pl.’s First Status Report ¶ 4, Nov. 27, 2017 [ECF No. 44] (“Plaintiff will ask that the next U.S. Attorney investigate and prosecute . . . Cheryl Thornton Sloan for obstruction of justice . . . .”). Plaintiff is also advised that this case does not concern his claim of “actual innocence.” Rather, his Complaint is confined to whether Defendants complied with the federal Freedom of Information Act. Defendants’ Motion for Summary Judgment [ECF No. 48] will be heard on Tuesday, January 30, 2018, at 10:00 a.m. The clerk is directed to forward a copy of this Order to all counsel and to Plaintiff. ENTERED this 5th day of January, 2018. By analyzing Judge Kiser’s claim that (“Plaintiff will ask that the next U.S. Attorney investigate and prosecute . . . Cheryl Thornton Sloan for obstruction of justice . . . .”) is some kind of horrible criminal threat against somebody who has aided, and abetted the unlawful cover up, destruction, removal, or concealment of federal agency case files concerning the wrongful conviction of Brian Hill. By stating that Brian may be in contempt of Court over something he had asked for after the swearing in of the new United States Attorney. By saying that Brian simply is asking to investigate the other side for committing any federal crimes and prosecute them if they are guilty of such crimes is not a criminal threat towards the Government lawyers. What Brian has done and said on Court record is completely lawful and it is his civic duty to report any federal crimes he is a witness of to the police or to the FBI. If the FBI does not wish to do any investigation then it is his civic duty to report the crimes of Anand Prakash Ramaswamy and Cheryl Thornton Sloan to the Office of Inspector General, or even the next appointed and confirmed United States Attorney since they would not have a real or perceived conflicts of interest. So Kiser is threatening Brian with contempt if he does what he judicially perceives as a “threat” towards the Government’s counsel. So wanting an independent investigation or any real investigation into known liars is threatening the Government worthy of a fine or imprisonment? Since Kiser has threatened Christopher Julian over his internet postings which his Court does not have jurisdiction to threaten retaliation over the freedom of speech on the internet which is not physically in servers in one location but data servers located throughout the entire world wide web. Kiser even sent a deputy U.S. Marshal to Christopher’s door to intimidate him, how nice for Judge Kiser to do such a thing. It is clear that Kiser’s warning that Brian will face a contempt charge could even extend as far as Brian filing any complaints or asking anybody to investigate Cheryl Sloan and Ramaswamy. So essentially Kiser has threatened Brian not to do anything as of his civic duty to hold two assistant United States Attorneys accountable for any actions that may violate the criminal federal laws and the Constitution of the United States. Kiser also incorrectly stated “that this case does not concern his claim of “actual innocence.” Wrong again! The FOIA Appeal, his FOIA request, and the complaint all demonstrate that Plaintiff Brian David Hill needs the discovery evidence pertinent to “proving” his actual innocence. That he is Constitutionally entitled to his entire discovery evidence material of his federal criminal case under the 14th Amendment of the Constitution. 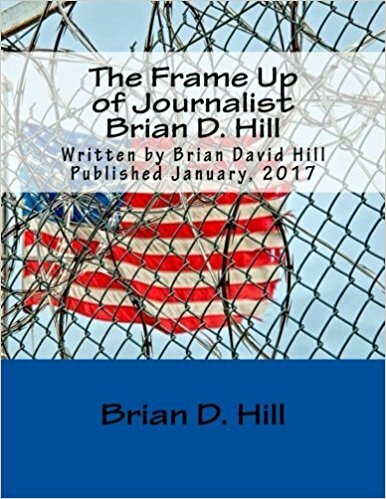 Brian has put his statutory and Constitutional basis for his FOIA case under “Freedom of Information Act (“FOIA”), 5 U.S.C. §552, Right to discovery packet of evidence under the 14th Amendment of the U.S. Constitution, Due Process clause (citing Brady v. Maryland, 373 U.S. 83 (1963))“. Judge Kiser was wrong again as this entire case ISN’T confined to only the FOIA statute but that it was confined to both of the FOIA and the due process clause of the fourteenth Amendment of the United States Constitution concerning a criminal Defendant’s right to discovery under the adversarial system. So Judge Kiser has systemically deprived Brian of due process, completely ignored and subverted Brian’s Constitutional rights that are also at issue of Brian’s FOIA lawsuit, and will subvert Brian’s Constitutional rights in favor of the wrongful FOIA disclosure exemptions being used to further deprive Brian’s right to request access to the discovery materials over his criminal case pertaining to the right to “inspect, make photocopies” and conduct testing of any evidence and reports or materials that is being used against a criminal Defendant by a prosecutor in a court of law. Brian’s Constitutional rights were subverted and deprived by Judge Jackson L. Kiser, then he threatens Brian with contempt over simply asking for a real “criminal investigation” into people working for the United States Attorney office in the Middle District of North Carolina. That is Brian’s civic and Constitutional rights at issue here. That means if Donald John Trump was ever to have to appear before the dishonorable Judge Jackson L. Kiser, he would hold Trump in criminal contempt for simply calling for the DOJ to start an investigation into presidential candidate Hillary Rodham Clinton for allegations of criminal misconduct. If Judge Kiser had his way, under the same logic used that he has shown in Brian’s FOIA case, he would charge Donald Trump with contempt of court and say that Trump has threatened Hillary Clinton. Kiser didn’t actually say that Trump threatened Clinton but if he used the same logic as in his recent order in Brian’s case then of course he would threaten Trump with contempt too in an order. Judge Kiser has made a completely erroneous and non-factual allegation against Brian David Hill and ruled in his Court as if that is some kind of fact against Brian. To say that Brian threatened the Government’s lawyer over simply asking (nicely!) for an investigation into the Government’s lawyers in his case violates his rights as a criminal witness to file a criminal complaint with the FBI or any future U.S. Attorney to investigate a DOJ employee for any kind of proven criminal misconduct that was protected and allowed to commit crimes. I am sorry Judge Kiser for criticizing you for your delusions, but Brian has every right as a civilian to file a criminal complaint against the other party when he has clear and convincing evidence that the Government has obstructed justice in any way in accordance with Title 18 U.S. Code §1519 citing: https://www.law.cornell.edu/uscode/text/18/1519 as reported by the federal codes and the Cornell University and it’s public law database. Question was is to rather how Brian asked for an investigation into the Government employees. Did he threaten to go to the next United States Attorney if they didn’t do what he wanted? Or was the context of Brian’s threat simply that he had already called for an investigation in his FOIA Appeal and contacted the FBI asking for an investigation but nothing was done about it by the Obama swamp criminals? If all Brian was doing was simply stating that he intends to ask for an investigation into AUSA Anand Prakash Ramaswamy and AUSA Cheryl Thornton Sloan regardless of what the Government decides to do in his case then he is not criminally threatening an action over compelling the Government to do things his way. There is no evidence of criminal compelling in his status report to make them do things his way in a manner that is as serious as things like blackmail or a criminal terroristic threat. There is no threat to actually harm them. There is no threat to commit a crime against them. The only thing Kiser construed as a threat is just that Brian simply asked for an investigation into the Government’s Counsel for crimes (obstruction of justice and subornation of perjury) he has clearly proven that they have committed and has a very strong case against them. He didn’t threaten to do something if the Government didn’t do what Brian had wanted, now that would be a threat worthy of sanctioning Brian. Question is whether Brian should file a judicial misconduct complaint against Judge Kiser or whether he needs to go before the White House or the Judiciary Committee for impeachment proceedings and ask for his removal from the bench for his reckless misconduct, threatening to shut Brian up to not go after criminals that just happen to work for the United States Attorney, and threatening the freedom of speech of Christopher Julian? If he wishes to respond to this, that is his right as a Judge or even a civilian to challenge my challenge. If he disagrees with me than he can rant all he wants about it and tell the world why I am wrong and if I am wrong and how I am wrong. I challenge Judge Kiser to respond to my criticism and tell the people that read this post as how he believes I am wrong and he is right. I will post his remarks and critique to this blog post in favor of his right to have his own opinion. I support Judge Kiser’s freedom of speech. If he threatens me to take my post down then I will post what threats he has issued on here and contact the ACLU and ACLJ, as well as EFF, or even Rutherford Institute since they aren’t that far from Danville. I will also contact the Congress and Senate if that is ever to be the case in the future. A Federal Judge has no right to demand that internet posts be shut down at risk of imprisonment or retaliate against anybody over what other people posts when they see what is clearly wrong going on here. We have a right to disagree with a Court or with any government official that is supposed to be a public servant. I look forward to hearing Judge Kiser’s response to my critique! God Bless America! God Bless the 242 years of history that the United States of America has been strong as a nation for fighting for freedom and liberty. “The answer to 1984 is 1776“. Kiser will not place this post down the memory hole as in George Orwel’s 1984 and the Ministry of Truth.